This house was unbelievable. A great spot for our girls reunion weekend. Plenty of space and a really excellent kitchen. David was a very responsive and friendly host. Can’t wait to find a reason to come back! 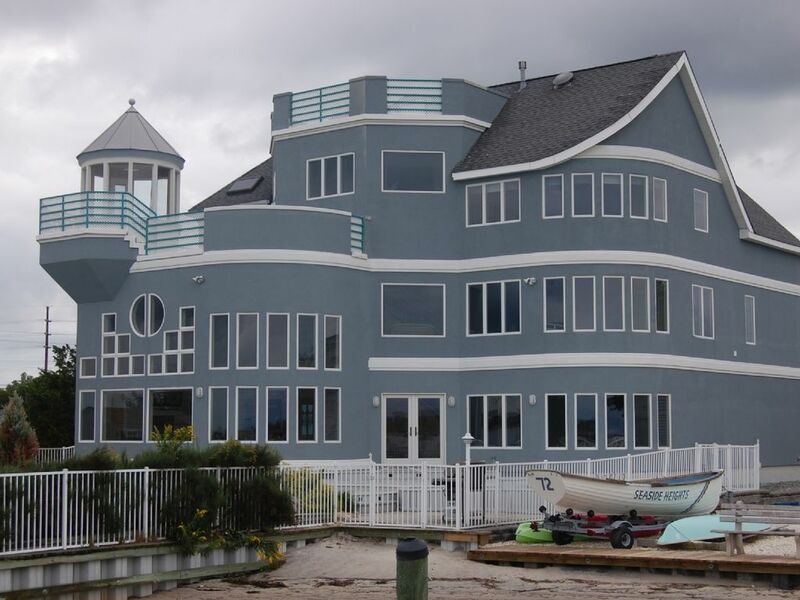 Beautiful, accomodating, bayside property for our family vacation ! As a big Coca Cola guy i was thrilled to have the old school bottle coke machine! So cool!! Outside was multi level patio with pool and dock access to thd bay! Pool was key with kids! We crabbed most of the trip & got quite a hall! Steamed & made sauce!! Old school like when i was s kid! Second floor had bunch of bedrooms and piano area! Third floor had a 1 BR suite with loft and patio!! Shower/steam room was ridiculous!! I do suggest ear plugs. Sound travels here...I highly recommend Davids home for your next family outing! Maybe you’ll have your best vacation too!! Thank you so much for the nice review! I cannot begin to tell you the wonderful feeling I get when I hear from people like you that have a great stay in my home. It's so rewarding! Looking forward to having you as guests again so that you can continue to make those lasting family memories! We had a great Family Vacation at David's house. It was a big house, however, with so many open spaces in the house you could hear everything from every level. The kids enjoyed fishing and crabbing from the bay. The view was beautiful and we were able to see the fireworks from the backyard. It's a short drive to the Boardwalk and the Beach. We could have done without the refrigerator dripping through the whole weekend. David the owner was very nice and helpful, and I recommend this house for a wonderful vacation. Thank you for staying at my property. I'm sorry about the refrigerator, but I'm happy to report that it has since been repaired. I hope to have you as guests in my home in the future. I would be delighted to offer you a nice discount since you and your family were such wonderful guests. Thank you again for choosing my home for your family vacation. We stayed at David's awesome property July'17,had a great time. Mixed age ranges of kids from 2 to teen/6 adults with plenty of room to spread out as needed. As advertised, very spacious, small beach area was perfect for a few toddlers and launching kayaks from. Some minor dock repair and pool skimmer cap missing issues when we arrived but David was quick to respond and it was nothing out of the ordinary for a popular rental. The kids LOVED the many nooks of this house. This area was hit hard by sandy and the neighborhood is still recovering. Neighbors told us they just got back after few years of rebuilding. Sadly a few abandoned homes still on the island and across the street but nothing that messed with our fun and can only get better as there are definitely people who care in area. Seaside Heights etc is a great location. Definitely reccommend using Island state beach park as the beach of choice - NJ residents $6/ car load, out of state $12bucks, short drive, not too crowded beaches etc. Fireworks every wed night in the summer which you can see really well from all the decks/dock. Boardwalk is great (sawmill pizza!). Wet Items in Laundry: We took note about other reviews mentioning wet rags/hand towels in the washer on arrival - we experienced this but just threw them right into dryer and all good. This is pretty typical in our experience of other rentals where the cleaning crew puts a load in and sometimes misses the dry cycle. No biggie. Deck Condition: The water during hurricane sandy did not enter the house from photos we looked up but wore the deck down a lot for sure. The caretaker/David are aware and doing maint. to keep things safe. Sheets/Towels: Other reviews noting being surprised by not knowing about the sheets and such, david was very clear with us, definitely bring towels / sheets / pillow cases / toliet paper / paper towels etc. Stains: One review noted a lot of stains, only thing we saw was the master bedroom mattress could use replacing after this season but again we didn't notice anything else. -There is a microwave/sink/small fridge in a small breezeway between master bath and bedroom. -The central staircase/house is very open - its very cool - but if you have small children who wake early it is difficult to contain noise if someone wants to snooze. It was a pleasure having you and your family as guests! Thank you so much for your very detailed review. I wish more tenants would take the time out to also do so. Just so you are aware, I have many upgrades planned for the 2018 season. Including new flooring in the Great Room and entire 3rd floor Master Bedroom. Also will be replacing the refrigerator, microwave, dishwasher, washer and dryer. Will also be replacing the kitchen furniture as well as 2 sets of bedroom furniture. I had replaced 3 mattresses this year and will replace more as needed. Thanks again for choosing my home for your family vacation and I hope to have you as guests again! Thanks again for choosing my home for your family gathering/vacation. I'm glad you enjoyed your stay and hope to have you as guests again in the future. Beautiful home! Poorly equipped. Gorgeous kitchen with loads of empty cabinets. Poor mattresses on the beds. The people whom David pays to do the housekeeping are ripping him off. Wet towels and sheets left in washing machine, smelling like mildew. Silverware scattered in various draws not all in silver tray. Dishwasher full of dishes, We literally had to buy dishwashing detergent, toilet paper, paper towels, brillo etc. Finding the basics like a coffee pot was like going on a scavenger hunt. Because of previous year's experience I bought pots and pans from home. He has an ant problem, which I am sure he is not aware of. No cleaning supplies available to clean tubs and showers after use. No iron and ironing board available. No written instructions regarding garbage collection, heat etc. My second time renting and I will do it again because David is a great person and he is fare, and I absolutely love his home and the location of same. I would like to manage his property for him, and shop for the things that all rental homes should have available for their renters.